Latvian startup Mintos was named “Most Influential Startup” at the Spanish Fintech Awards 2018. The prize was awarded during the third annual Fintech Unconference, organised by Finnovating business strategy and investment consulting. Over 6,300 votes were registered for the award, with Mintos winning almost half of the votes. 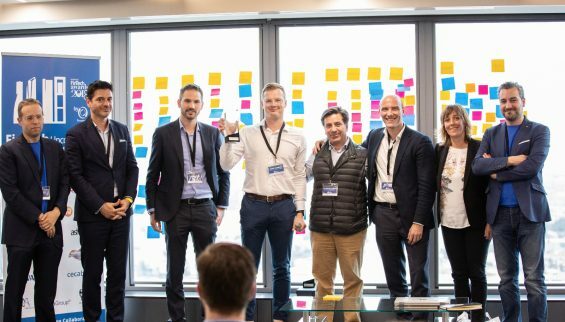 The Fintech Unconference gathered the 100 most important CEOs and founders in the sector, 13 Presidents of Latin American Fintech Associations and representatives from financial supervisors looking for synergy and meetings with other industry players. Three other awards were also handed out with Goin winning “Most Innovative”, Revolut winning “Best Executed Business Model” and EthicHub winning “Startup with Most Social Impact”. In more than three years since its establishment, Mintos has exceeded EUR 720 million in cumulative investments by investors and the company expects the amount of loans funded to reach EUR 1 billion by the end of the year. The number of investors using the platform has reached 61 thousand as of May 2018 and the company expects to reach 100 thousand investors by the end of the year.